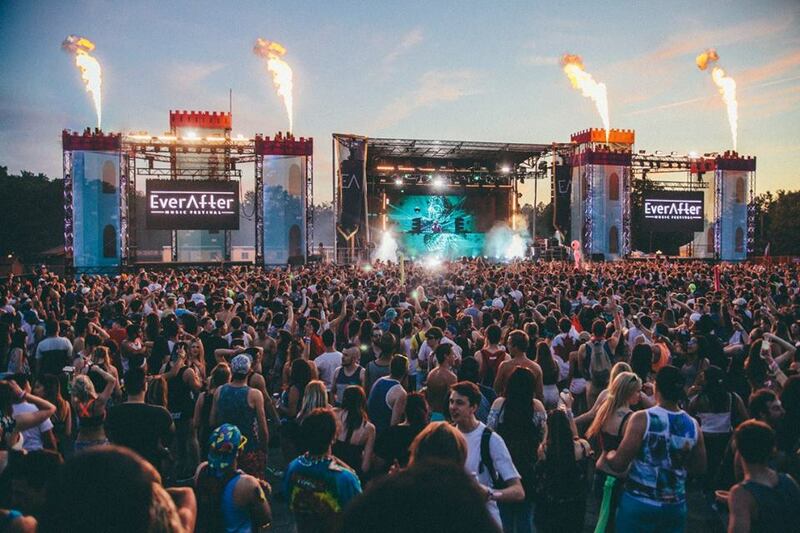 Ever After takes place in Kitchener, Ontario on a private farm land that brings around 10,000 people for the past two years. 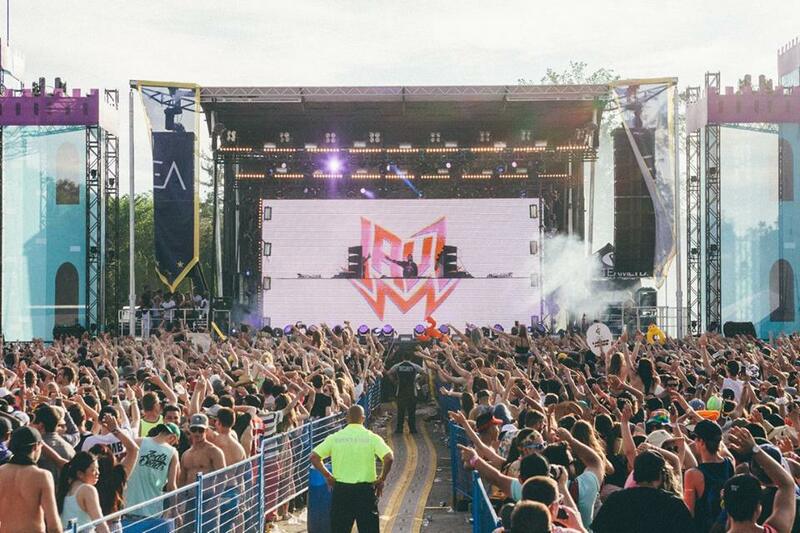 The festival positions itself in the market by appealing to a heavy bass scene that is dedicated to Ever After already for the third year ever. Taking place from June 2 to 4th this coming weekend, you can expect three days of an immense amount of high-quality electronic music. Tickets are available for each day or all weekend and purchasable here. 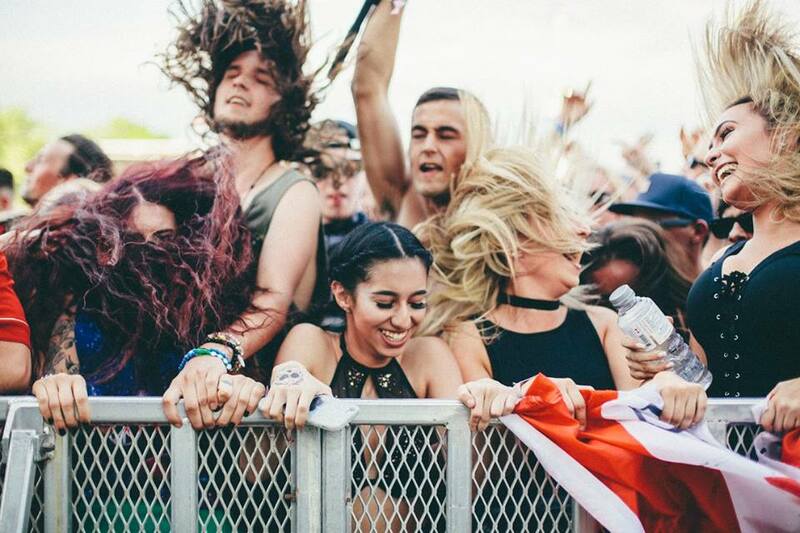 EARMILK has you covered with a complete survival guide to making it through Ever After Music Fest. Let's play! X Infused returns to #EAMF17 and is excited to create an amazing playground adventure for you. As a professional journalist, it surprises me to know how many people don't wear some sort of ear protection at live music. 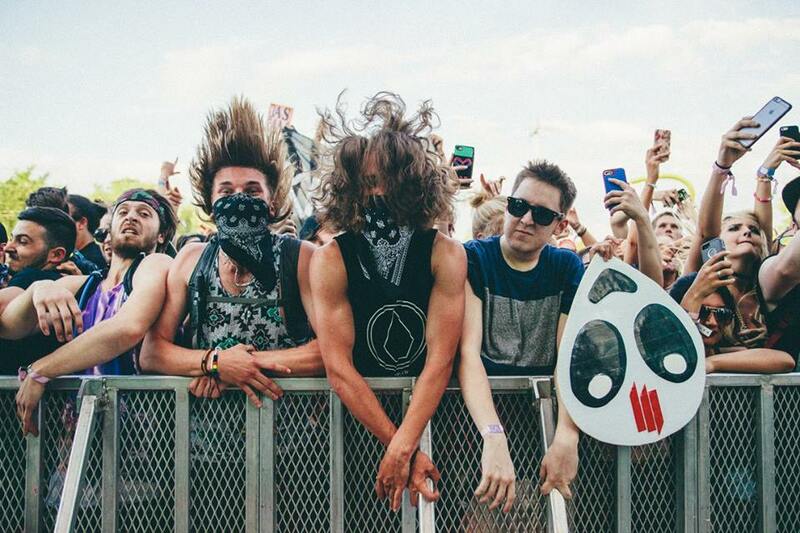 Festivals are especially dangerous since one's ears are exposed to music for longer periods of time, so it's important to be smart about the damage of loud music. Most DJs use custom musician's plugs now from brands like Alpine, 3M, and ProGuard. The field where the festival takes place is big enough to not feel overwhelming. DJs at Ever After take the time to speak with their fans through non-verbal gestures and occasionally come down off the stage. Musicians are also increasingly communicative with fans via social media and sharing videos from their POV. 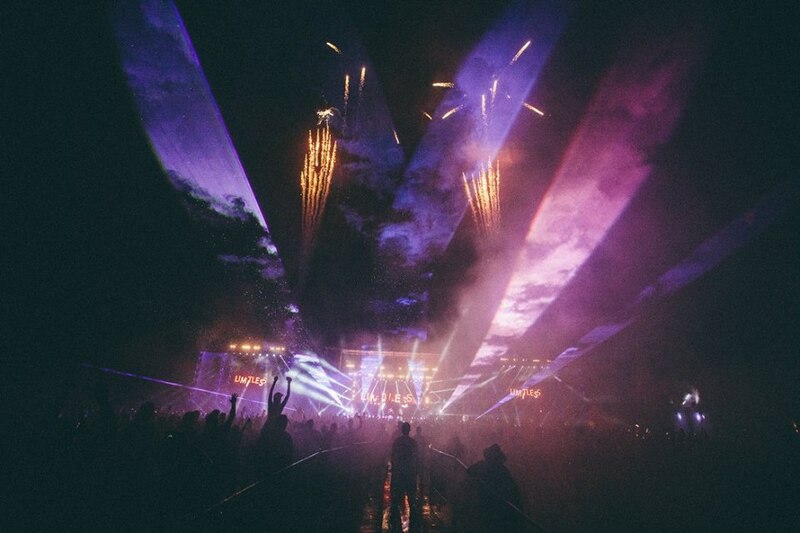 Ever After has become well known for their investment in making the festival stand out with ace-class pyrotechnics and an incredible laser show. After only two years, you can expect another major multi-project light display especially during the evenings over all three nights. 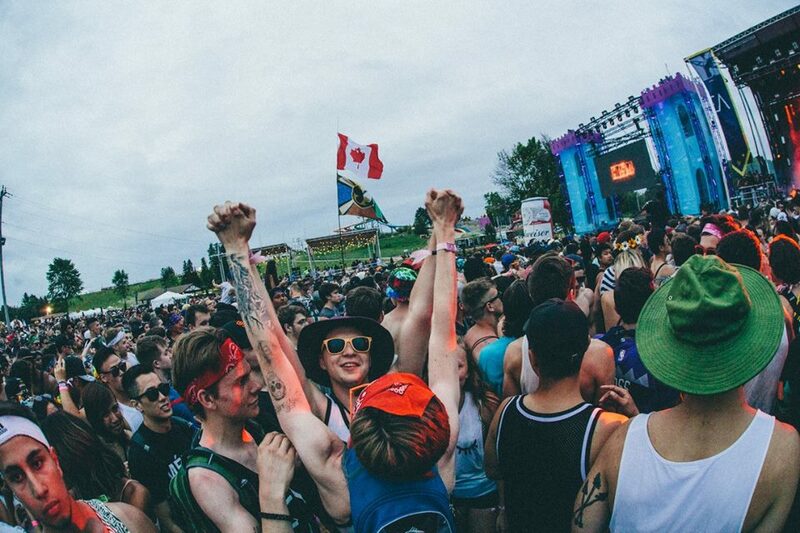 Flags are an extension of people's identity that can be shown off at large festivals. Whether turned into a public symbol held above the crowd or literally an extra layer for the colder days, bringing a flag helps you stick out. Flags can also be a meeting point if yours is unique enough! Figuring out where to place yourself and your friends in a massive crowd isn't easy when there are multiple factors to take into account. 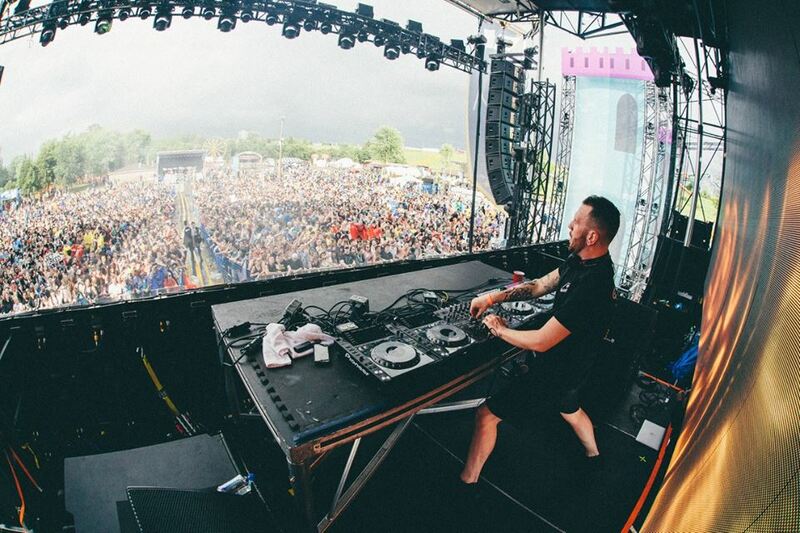 You need to consider the other stages and proximity to necessities like the toilets, bar, and DJ. 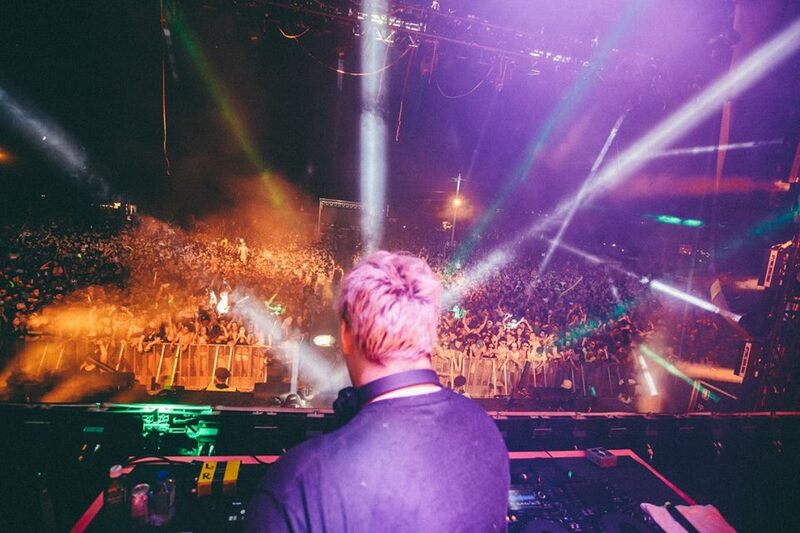 Stepping away and enjoying your space to dance in the back of big festivals can be a good change and gives you opportunities to speak with other people without shouting. Last year's weather conditions ranged from a lot of sunshine to heavy rain, stretching from the scorching noon to the after hours in the camping space when the temperature dropped. Right now the weather network predicts light showers on Friday, sunny times on Saturday, and rain on Sunday. Prepare in advance for the heat in particular and bring a pair of shoes you don't mind getting rekt. 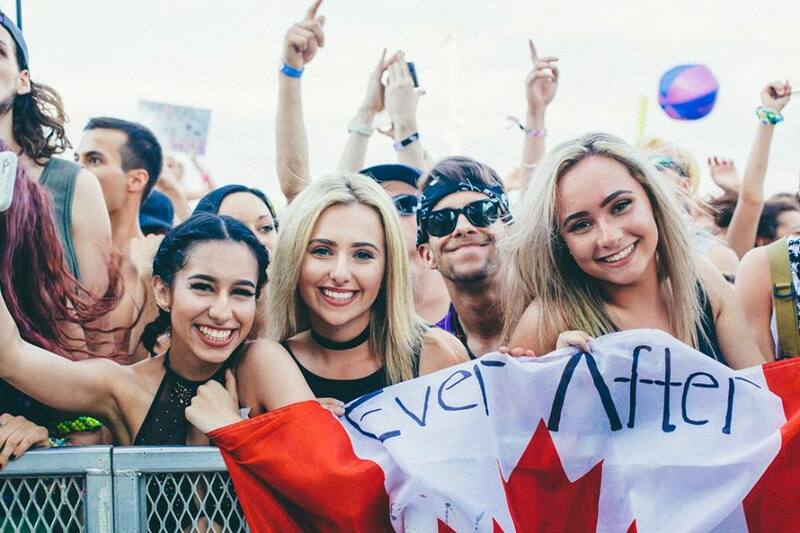 Part of what makes Ever After stand out in the Canadian music festival market is the dedication to hard hitting bass artists across a wide spectrum of electronic sounds. 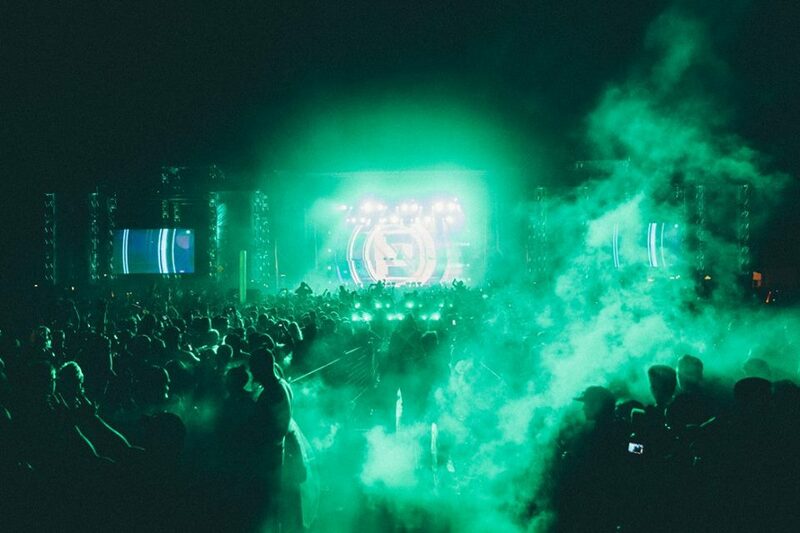 From complextro artists like Barely Alive to the talented Toronto duo Zeds Dead, west coast artists Excision, Downlink, and Bassnectar, as well as various other headliners. 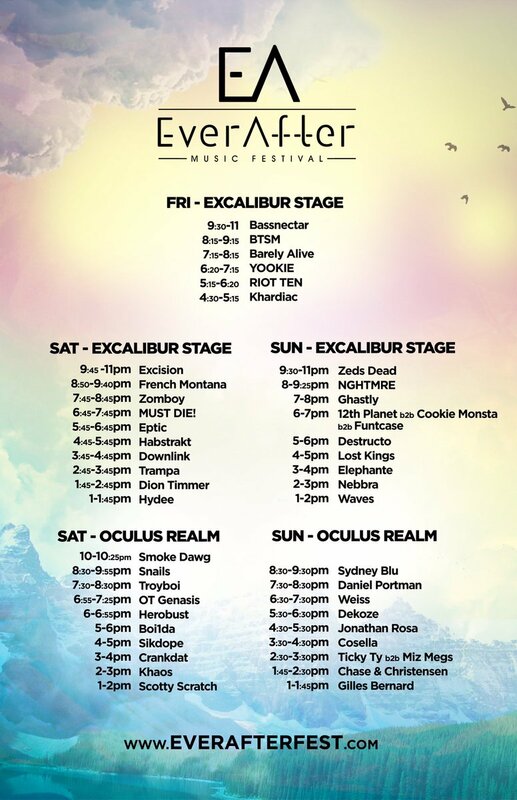 The Saturday alone brings a huge amount of dubstep headliners and Sunday sees a triple b2b set between 12th Planet, Funtcase, and Cookie Monsta. 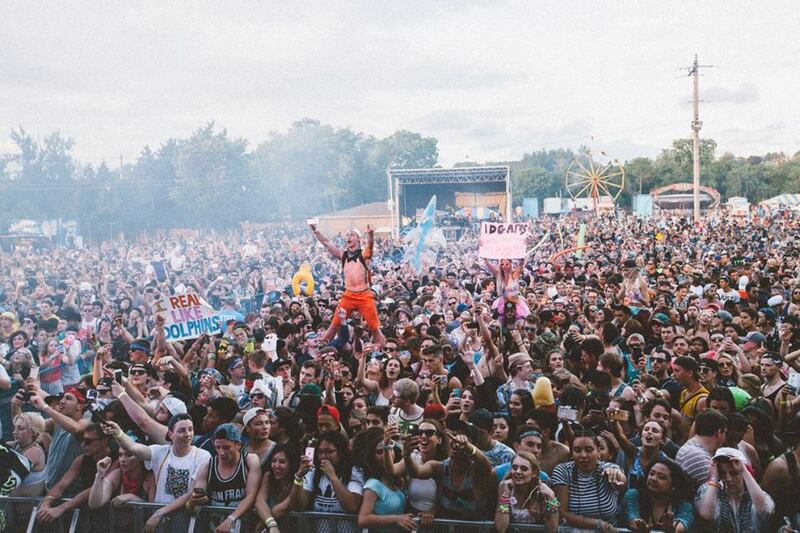 The organization that goes behind creating attraction and attention about the festival cannot be understated. When you're at a festival, make sure to be supportive to all the staff there since there is a lot of work necessary before and afterward. 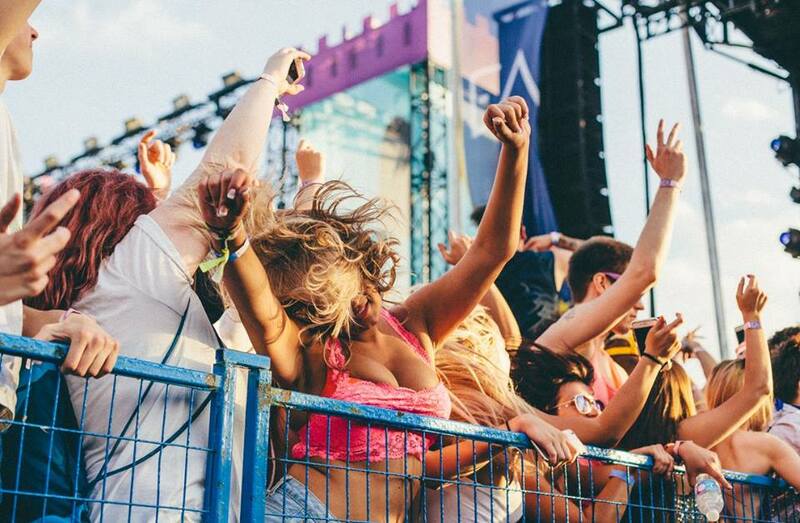 Festivals are all about having a positive experience, make sure you bring a good vibe to Ever After! 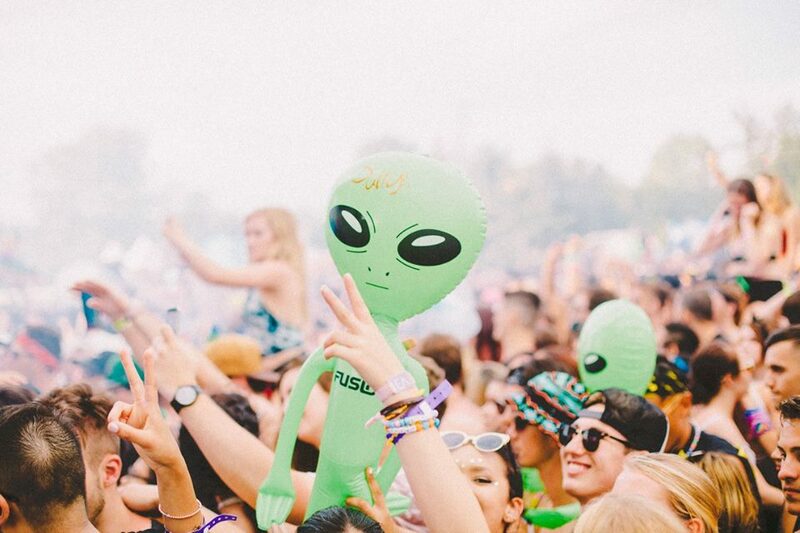 The most important thing to do before a festival is memorizing the lineup and decide who you want to see beforehand. 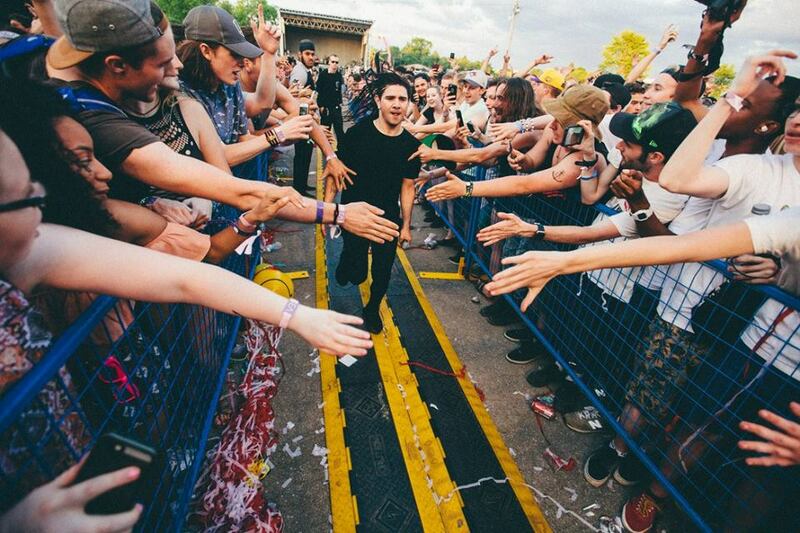 Festivals involve a lot of moving around and a whirlwind of artists that you don't want to miss hearing. 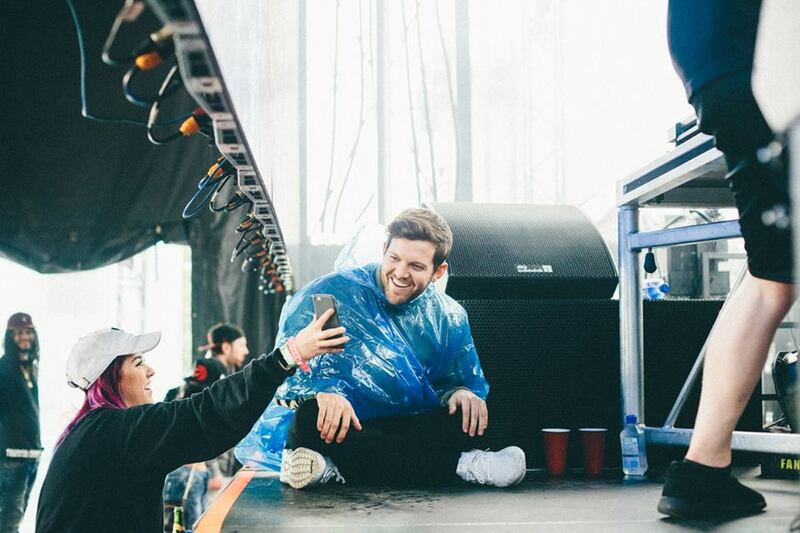 Make a schedule between the artists you want to see and make sure to arrive at the headliner's stage ahead of time to get a good spot. I'll see you at Ever After holding Montreal's flag! 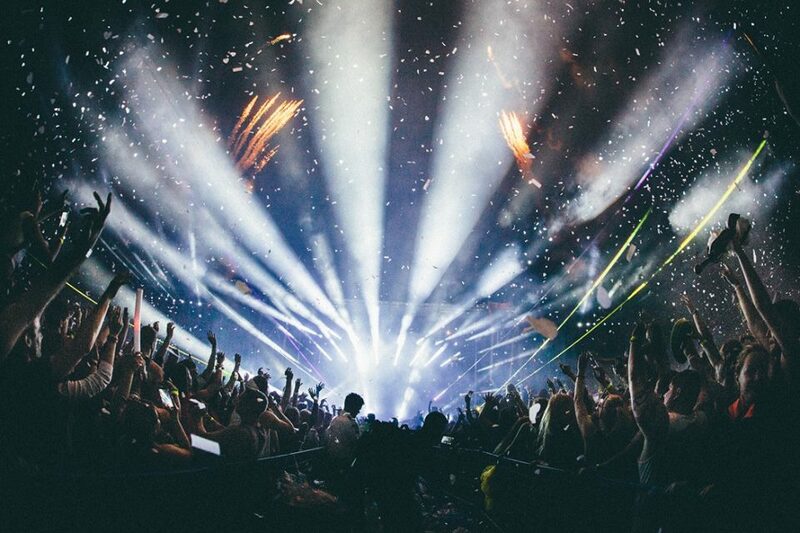 Will the Grammy's finally give electronic music the respect it deserves?